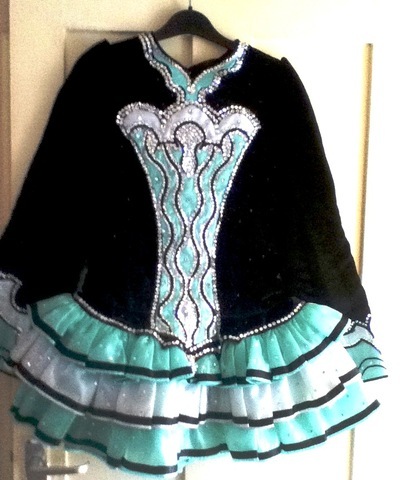 Stage stunning dress that is in as new condition with no marks stains or odours. 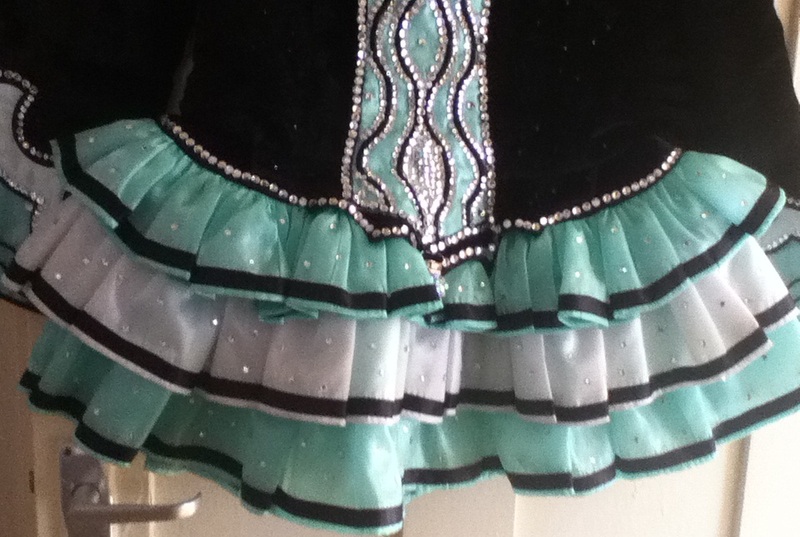 There are hundreds of Diamantes and none are missing. 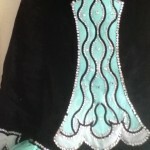 The dress has ben carefully stored and looked after. 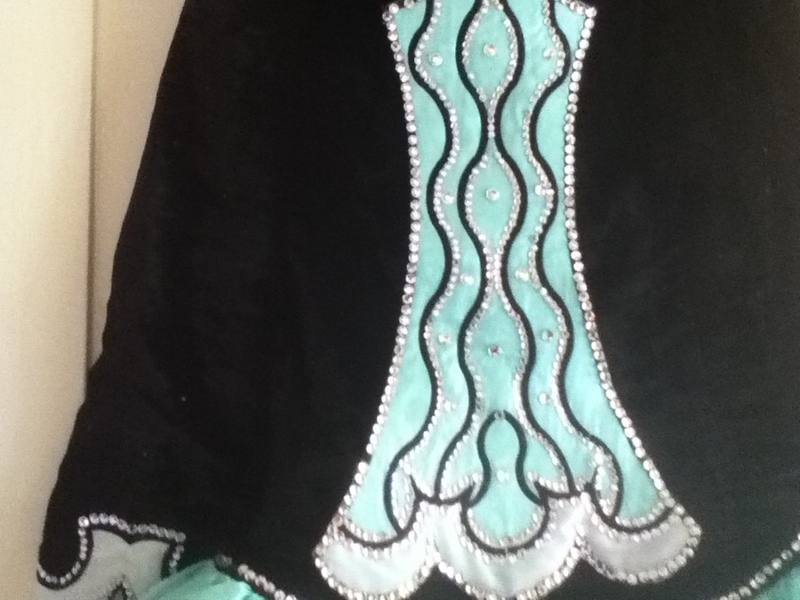 The main Black is a deep rich Velvet and the skirt is a three tiered Ra-Ra skirt which flows beautifully. 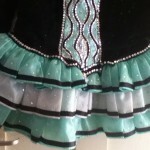 Unfortunately we have no pictures of the dancer wearing this dress as it has only been worn a handful of times. Asking Price: £600. Shipping costs are not included. Sale is final.